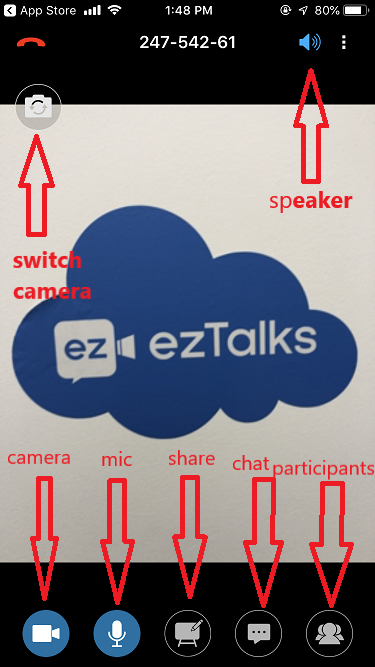 ezTalks allows you to start an instant meeting or a scheduled meeting from different platfroms. This article is about how to start a meeting from the mobile app. Learn how to start a meeting from the other platforms. 2. Then you will see the video screen. You can switch your camera, turn on/off the video, turn/off the audio, share screen or share whiteboard, have private & public chat and manage attendees.